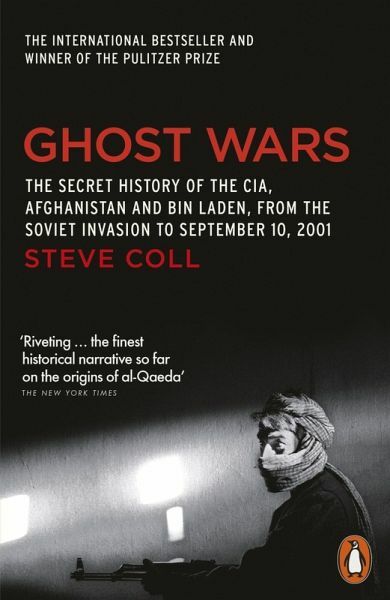 The news-breaking book that has sent schockwaves through the White House, Ghost Wars is the most accurate and revealing account yet of the CIA's secret involvement in al-Qaeada's evolution. Prize-winning journalist Steve Coll has spent years reporting from the Middle East, accessed previously classified government files and interviewed senior US officials and foreign spymasters. 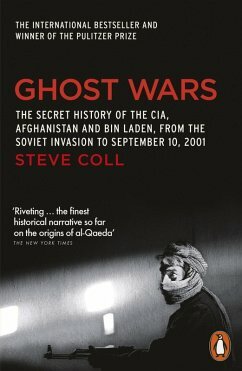 Here he gives the full inside story of the CIA's covert funding of an Islamic jihad against Soviet forces in Afghanistan, explores how this sowed the seeds of bn Laden's rise, traces how he built his global network and brings to life the dramatic battles within the US government over national security. Above all, he lays bare American intelligence's continual failure to grasp the rising threat of terrrorism in the years leading to 9/11 - and its devastating consequences. 5. "Don't Make It Our War"
6. "Who Is This Massoud?" 7. "The Terrorists Will Own the World"
8. "Inshallah, You Will Know My Plans"
12. "We Are in Danger"
13. "A Friend of Your Enemy"
14. "Maintain a Prudent Distance"
16. "Slowly, Slowly Sucked into It"
18. "We Couldn't Indict Him"
19. "We're Keeping These Stingers"
20. "Does America Need the CIA?" 21. "You Are to Capture Him Alive"
23. "We Are at War"
24. "Let's Just Blow the Thing Up"
27. "You Crazy White Guys"
28. "Is There Any Policy?" 29. "Daring Me to Kill Them"
30. "What Face Will Omar Show to God?" 31. "Many Americans Are Going to Die"
32. "What an Unlucky Country"